BAGHDAD -- In the week since it captured Iraq's second-largest city, Mosul, a Muslim extremist group has tried to win over residents and has stopped short of widely enforcing its strict brand of Islamic law, residents say. Churches remain unharmed and street cleaners are back at work. Getting around is easier now that much-despised blast walls and security checkpoints are gone. But the militants' restraint may only be temporary: In Fallujah, a city west of Baghdad that the group and its tribal allies solidified control over at the start of the year, residents say the militants have begun meting out shariah, or Islamic law, punishments in private, flogging lawbreakers and cutting off thieves' hands. And across the Syrian border in their urban stronghold of Raqqa, the insurgents are much more open about their ideology, killing people execution-style in the main square, banning music and imposing an Islamic tax on Christians for protection, according to activists and residents of that city. The militant group, the Islamic State of Iraq and Syria (ISIS), has claimed to have slaughtered hundreds of captured Iraqi soldiers over the past week or so during which it seized a large hunk of northern and western Iraq. While the true number is unknown, video images suggest atrocities. Its relatively light touch in governing newly conquered Iraq areas, however, seems calibrated to avoid alienating relative moderates, hinting at how an essentially small number of militants were able to seize so much territory in Iraq's Sunni heartland so quickly. A key question now is whether the tribal allies of ISIS, also known as the Islamic State of Iraq and the Levant, or ISIL - who currently appear to view the Shiite-led government in Baghdad as a greater threat - will turn against the al Qaeda-inspired extremist group, particularly if it implements Taliban-style strictures. 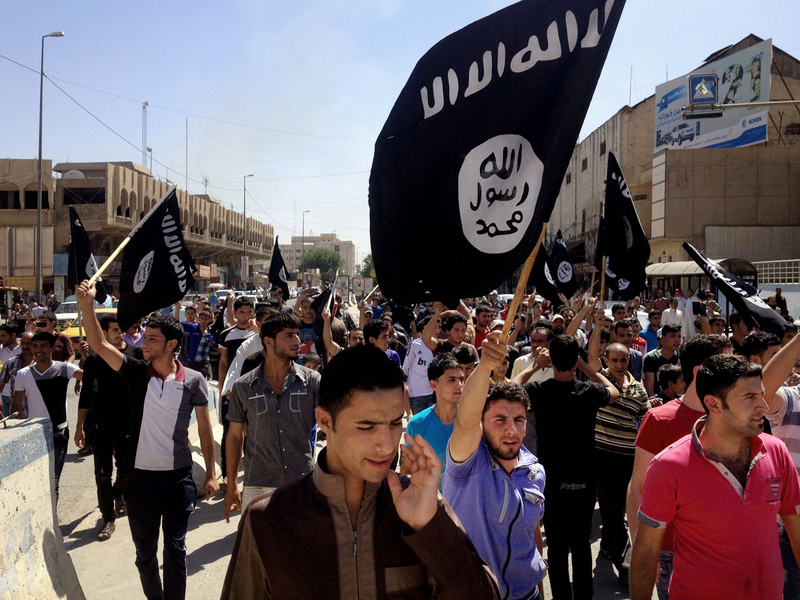 Aziz Jaber, a political science professor at Baghdad's Mustansiriyah University, said public opinion could easily turn against the Islamic State in the cities it now oversees. "The only thing ISIL people are good at is beheading people," he said. Shortly after capturing Mosul, Islamic State fighters held a parade trumpeting their victory and roamed the city handing out leaflets warning residents away from smoking and drinking alcohol, and promising that lawbreakers would be dealt with under Islamic law. Women were told to stay home as much as possible. But the militants have done little so far to enforce those edicts, residents say. Islamic State fighters instead have taken on civic duties such as directing traffic and providing protection to power company employees out repairing electrical lines. Two Christian nuns were seen this week passing by an Islamic State checkpoint without a problem. Cafes airing World Cup matches stay open until midnight. "Things as they are now in Mosul look fine, but we ... don't know what will happen next," said resident Youssef Salaheddin. "Government employees here don't know who is going to pay their salaries this month." Militants have been able to capitalize on feelings of Sunni disenfranchisement that have grown more acute since American troops left in late 2011. Street protests against Prime Minister Nouri al-Maliki's Shiite-led government that began in December 2012 and continued for months helped channel that anger and provided fertile recruiting ground for insurgents. The governor of Ninevah province, of which Mosul is the capital, told The Associated Press this week that the Islamic State was helped in its conquest of the city by loyalists to Saddam Hussein's now-outlawed Baath party as well as fighters from the Army of the Men of the Naqshbandi Order, which is led by former Saddam deputy Izzat Ibrahim al-Douri. "The people who are fighting inside Mosul are not only terrorists," Gov. Atheel al-Nujaifi said. "Some of them are from groups who have their own political views who didn't get an opportunity to participate in the government the last few years." Residents reached this week said those groups remain active in the city, as does a confederation of Sunni militants known as the Council of Tribal Revolutionaries. Charles Lister, an analyst who follows militant movements at the Brookings Doha Center in Qatar, said the Islamic State looks capable of maintaining control over major population centers like Mosul for now, but that other Sunni rebels could eventually turn their guns on the hard-liners - which is what happened in Syria. Kyle Stelma, managing director of Dubai-based Dunia Frontier Consultants, which has worked extensively in Iraq, said the militants are starting to look overextended. He questioned how far they could push and whether they would be able to maintain order in areas under their nominal control. "It's very different from a military perspective doing hit-and-run tactics and terrorist attacks ... than it is to seize and hold ground. They are fundamentally different operations," he said. In Mosul, he added, "they had element of surprise, and they were very good at exploiting that. That's gone now." In Saddam's hometown of Tikrit, taken by militants on June 11, residents say the power supply has dropped to five hours a day from 15 hours before the crisis, and that fuel supplies are being rationed. Many residents have fled, leaving most shops and restaurants closed. Streets are largely deserted. Islamic State militants have not begun interfering in people's daily lives there either, though resident Muhannad Saif said he fears it's only a matter of time. "When the U.S. military occupied our city about 10 years ago, they were liberators. When ISIL took control, they were liberators," Saif said. "We are fed up with liberations."